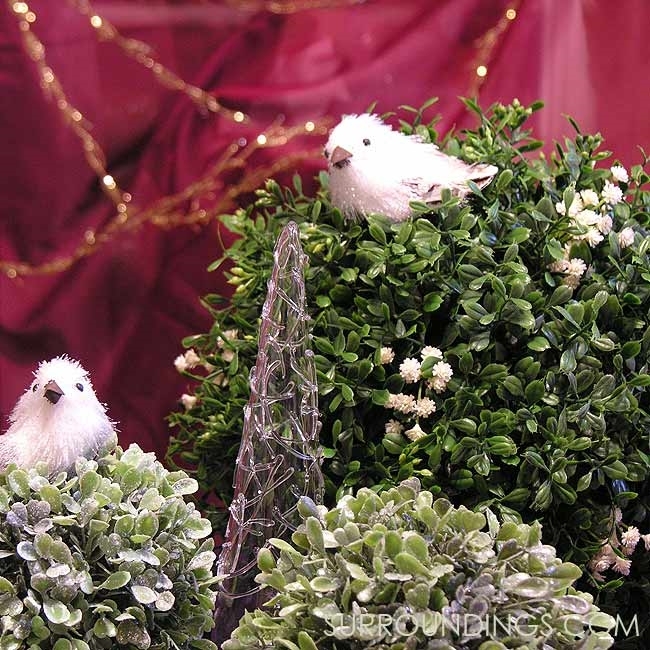 2.5" Cute snowbirds adds natural joy to your centerpiece display. Shiny glittery coat looks like he just came in from the snow! 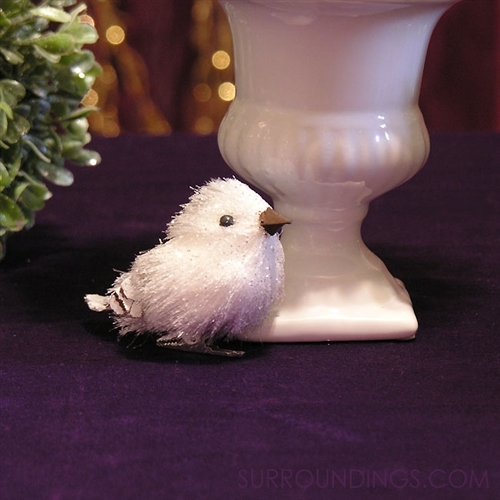 Clip on bottom makes it easy to attach to your decor items. 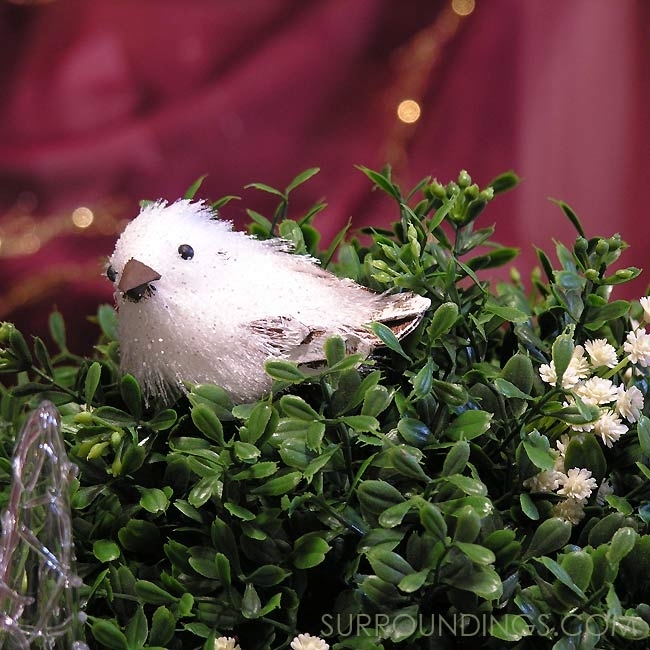 Lavender Bundle / 7 Feather Fern Ring / Wreath Echeveria double flower stem Frosted Boxwood Orb, 5"